You can deposit fund into your nairabet online account if you want to play with your new mobile/ old mobile phones depending on your choice when your type in www.nairabet.com on your moblie phone or with your laptop. NB: Accepted Cards are Interswitch Verve cards and Naira Master Cards. 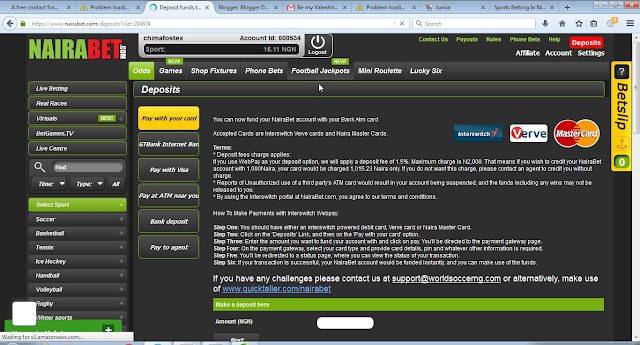 Remember you must login to make deposit into your nairabet account. click here to register with them if you do not have online account. 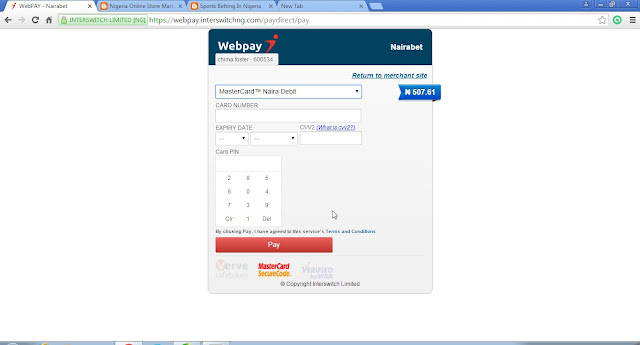 If you use WebPay as your nairabet deposit option, they will apply a deposit fee of 1.5%. Maximum charge is N2,000. That means if you wish to credit your NairaBet account with 1,000Naira, your card would be charged 1,015.23 Naira only. If you do not want this charge, please contact an agent to credit you without charge. * Reports of Unauthorized use of a third party's ATM card would result in your account being suspended, and the funds including any wins may not be released to you. 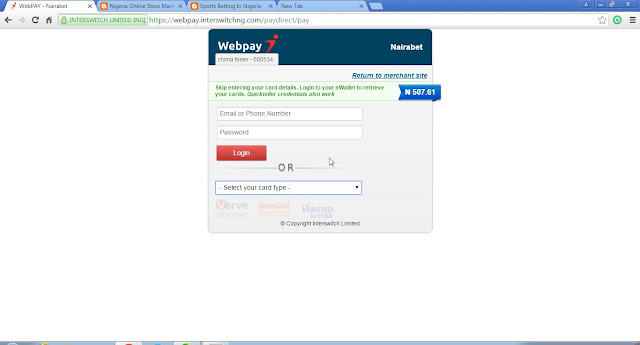 * By using the Interswitch portal at NairaBet.com, you agree to our terms and conditions. debit card, Verve card or Naira Master Card. account with and click on next,accept and then confirm . You'll be directed to the payment gateway page. 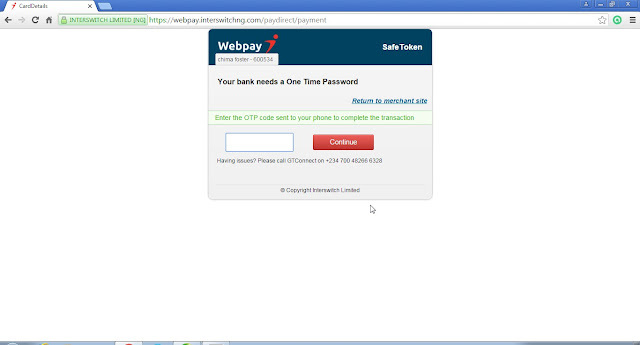 Step Four: On the payment gateway,select your card type. other information is required and click on pay. and you can make use of the funds.